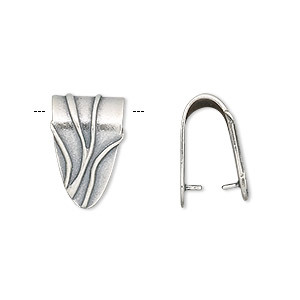 Bail, JBB Findings, ice-pick, antiqued sterling silver, 5x3mm fluted, 3mm grip length. Sold per pkg of 2. 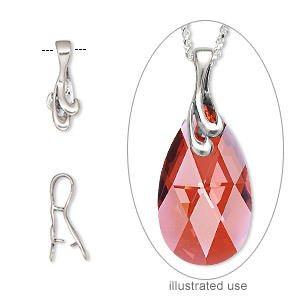 Item Number: H20-2724FY Have a question about this item? 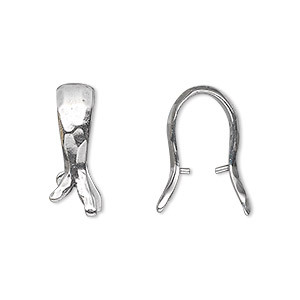 Stylized sterling silver ice-pick bails attach easily and are designed for use on cross-drilled components. 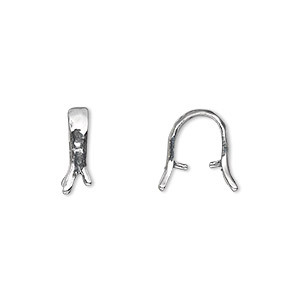 Bail, JBB Findings, ice-pick, antiqued sterling silver, 26x9mm double curve design with loop, 8.5mm grip length. Sold individually. 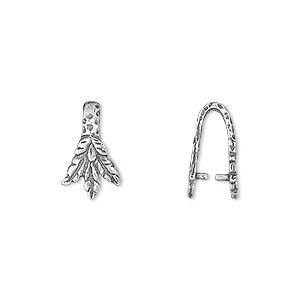 Bail, JBB Findings, ice-pick, antiqued sterling silver, 5x2mm fancy leaf, 3mm grip length. Sold per pkg of 2. 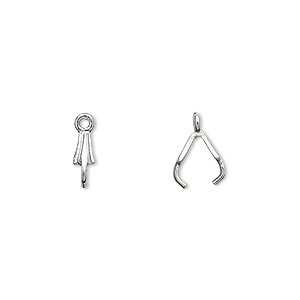 Bail, JBB Findings, ice-pick, antiqued sterling silver, 7x2mm leaf, 5mm grip length. Sold per pkg of 2. 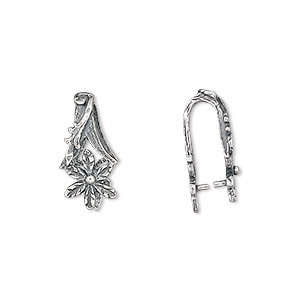 Bail, JBB Findings, ice-pick, antiqued sterling silver, 17x8mm flower, 11mm grip length. Sold individually. 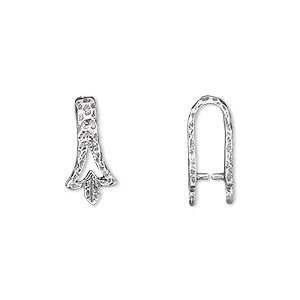 Bail, JBB Findings, ice-pick, antiqued sterling silver, 12x4mm faceted branch, 7mm grip length. Sold individually. 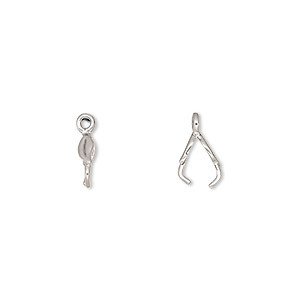 Bail, JBB Findings, fold over style, antiqued sterling silver, 16x10mm shield, 12mm grip length. Sold individually. 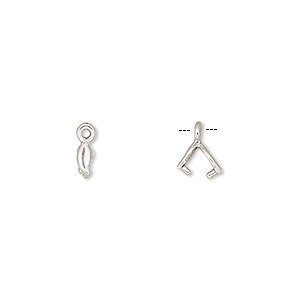 Bail, JBB Findings, ice-pick, antiqued sterling silver, 20x6mm faceted branch, 10mm grip length. Sold individually.